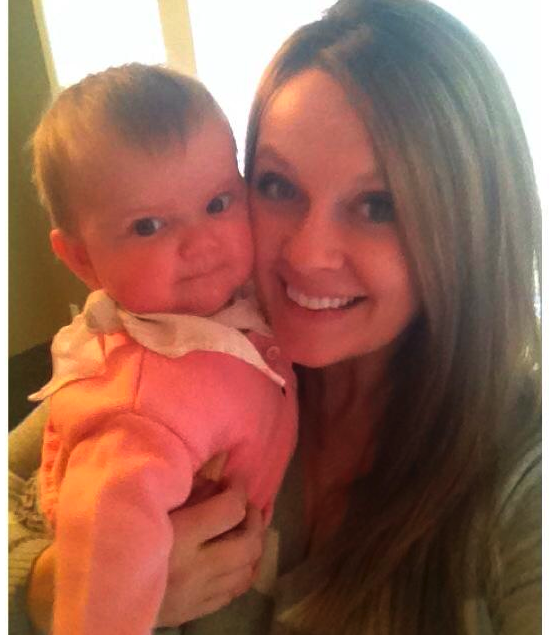 natalie's sentiments: InstaFriday #54 Life After Baby.... I'm back! I had a wonderful realization this week. I feel like a normal human being again. Not a shuffling, exhausted cluster of existence, but a real live normal person. 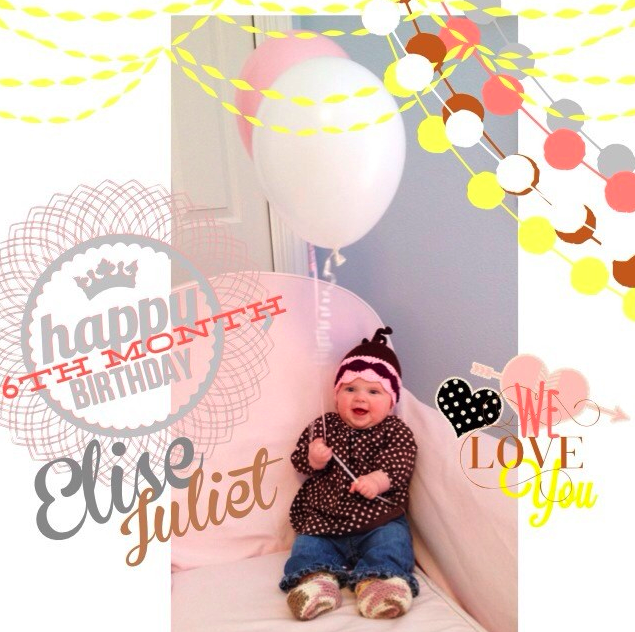 Elise is 6 months old. Now, for some of you, 6 months may seem like a pretty long time to get back to normal. But for me, that's pretty fast. Especially with my total crap c-section and recovery. I went to the gym today and nothing hurt. Nothing. I still look like I just had a baby, but I don't feel like it. 1. Little sleep at night + 30 minute naps = STAY THE CRAP AWAY FROM ME. 2. Little sleep at night + one long nap = I'm tired, but happy I can get a couple things done and relax for minute. 3. Good sleep at night + 30 minutes naps = I'm ok, but frustrated that I'm rested but can't get anything done with a needy tired baby. 4. Good sleep at night + one long nap = I'm so very happy and will be baking goodies for after school snacks and the house will be clean and I will go to the gym and put on make up and play with my kids and read grown up books at night and chat happily with my husband and maybe even be in the mood to make out. That last option is one that I would pay very good money to have every day. I seem to have a pretty even spread between all 4 of them. But it's still a major improvement. 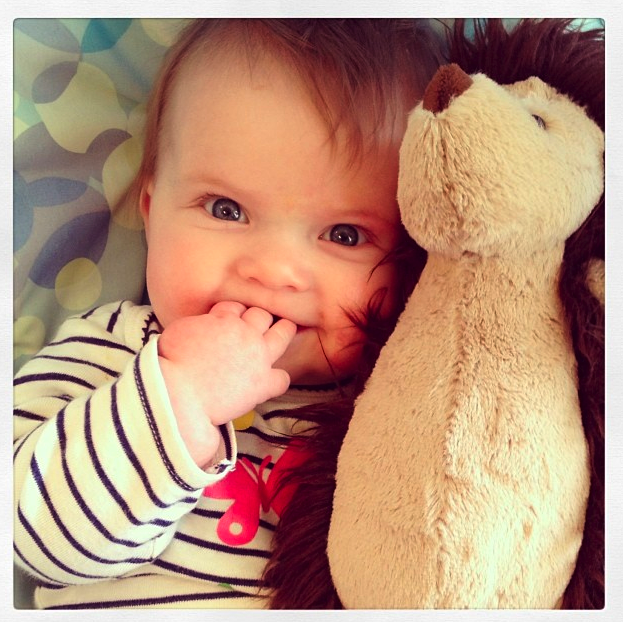 For the first 5 months, Ellie only had one sleep pattern, and that was option number 1. I pretty much cried every. single. day. If you can't tell, today is a number #4 day, and thus I am blogging during a long nap for Elise and rest time for Collin. Things are better. I'm not just surviving, but starting to move forward. I'm clearing out closets and have taken huge amounts of clutter to Goodwill. I've lost 10 pound since Christmas and plan to keep at it. I actually signed up for a race this summer. Baby is out of my bed and sleeps in her crib. Which means Shane has moved back into my bedroom. I mean our bedroom. Mostly, I love that I am finally rested enough that I can truly enjoy this little bundle of darling. Thumbs for night. Fingers for day. 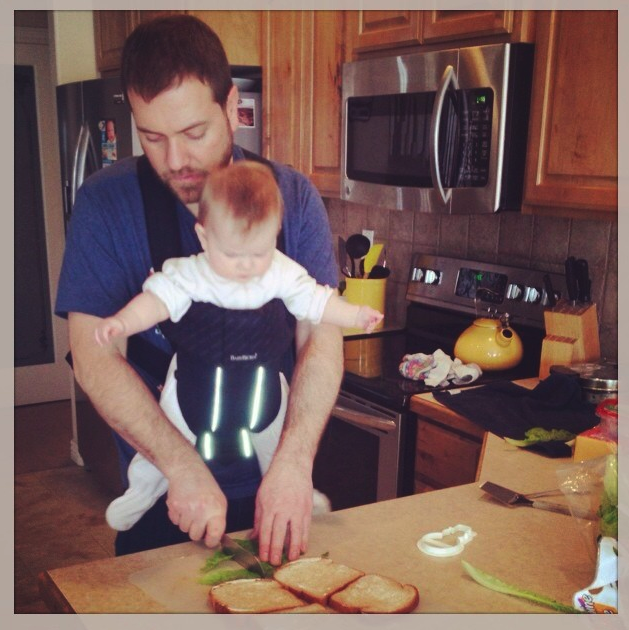 Real men wear babies. And make sandwiches. 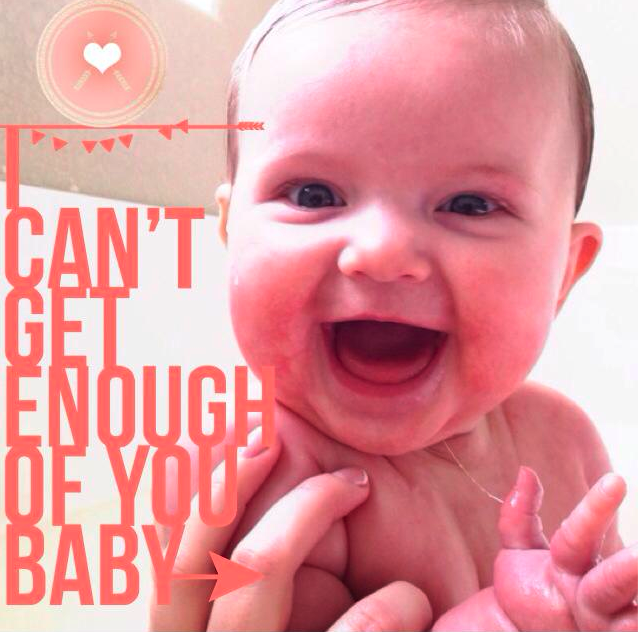 We love you baby Elise. Oh, what a sweetie! Congratulations on getting a little sleep! I'm, well, still struggling to find sleep (teething is totally killing our sleep), lose enough weight to feel a little more normal (it has been so much harder the second time around!) I just keep hoping that it'll be better someday. Yay for sleep! Thank goodness, right? She is an absolute doll. Hope that the sleep continues and you have a great weekend. She is precious. It's amazing what sleep can do for a Mom isn't it?!? How long was she "sleeping" before? So happy you got sleep! I love your little family!